On Saturday, 20th of February 2016, Saruya Hostel&Salon had the pleasure of hosting a fish festival event, in collaboration with the Bacchus Kofu Guesthouse. 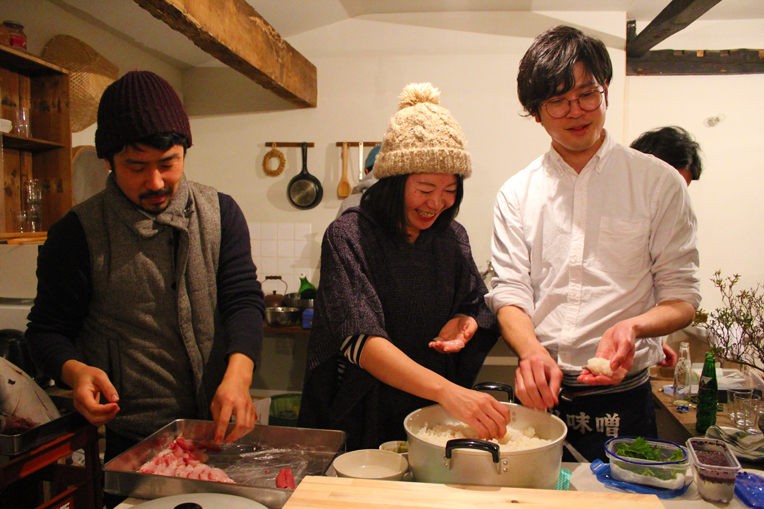 During the time we were building our guest house, we organized a crowdfunding campaign on Makuake (one of Japan’s largest crowdfunding platforms) and our Bacchus friends were kind enough to help us with a donation. In exchange for their generosity, we allowed them to use Saruya’s space, and thus a new opportunity was born! The main protagonist of the festival was the buri, (Japanese amberjack or yellowtail), a very popular fish for sushi or sashimi due to his fatty texture and great flavour. 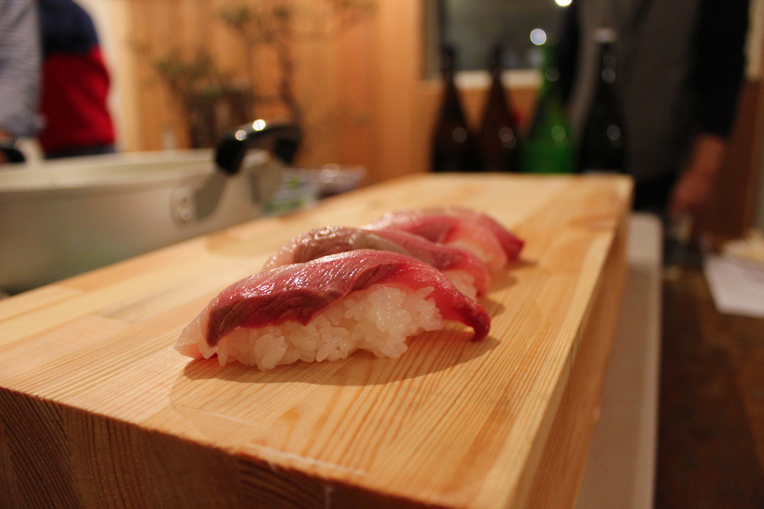 Usually the best season for buri is from December to February. Kanto (Eastern Japan): wakashi (less than 35 cm), inada (35-60 cm), warasa (60-80 cm), buri (more than 80 cm). Kansai (Western Japan): tsubasu (less than 40 cm), hamachi (40-60 cm), mejiro (60-80 cm), buri (more than 80 cm). 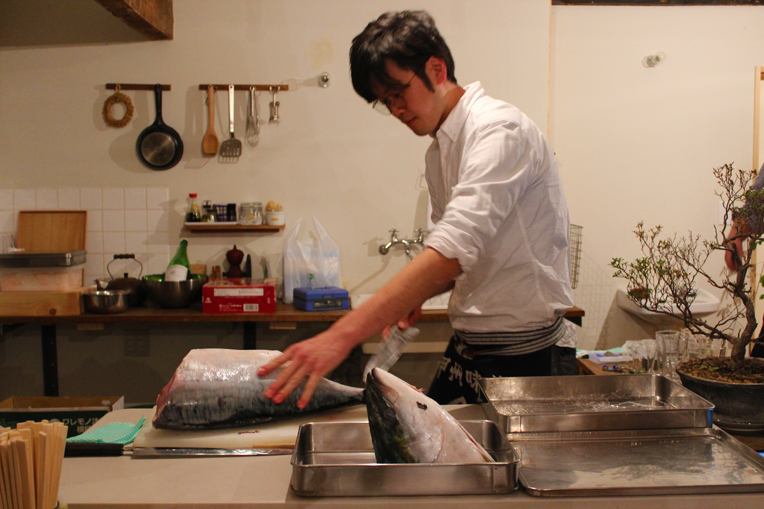 The chef, Yuya Kanazawa, who currently works for the Bacchus team, bought a 6 kg yellowtail. What happened next was a great experience followed by good food! 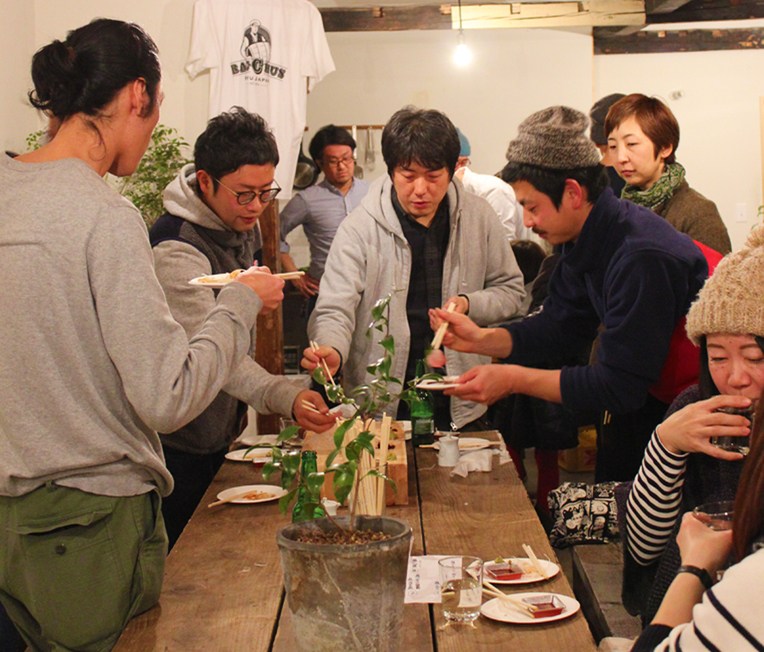 The event starts and everyone gathers around Kanazawa-san to witness a yellowtail expertly cut into sashimi. The first one to go was the head! 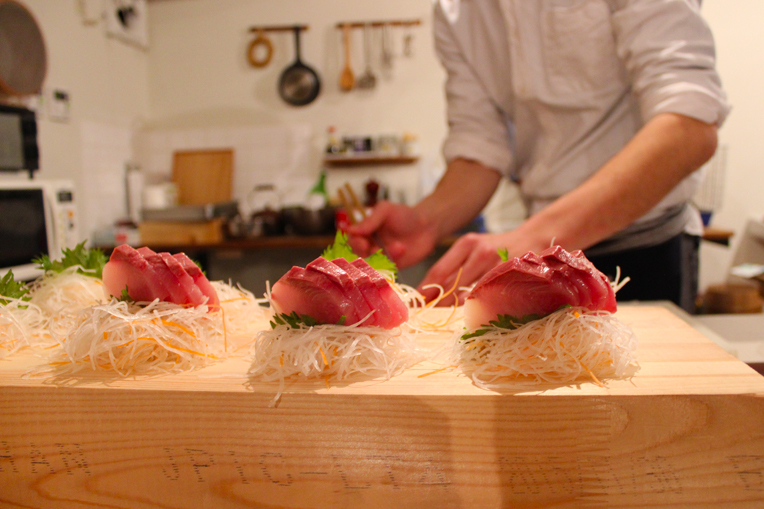 The raw fish slices are perfectly arranged on the wooden serving board. The colour of the buri looks perfect. The first round is about to be served. 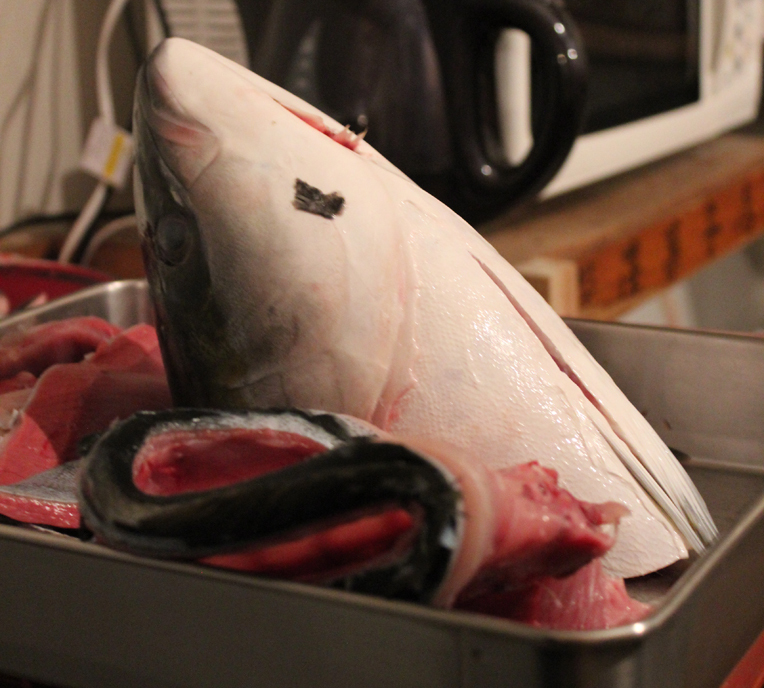 With about 20 participants, the fish quickly disappears as everyone leans forward for a piece of sashimi. The next step of the event was a sushi workshop where the participants learned the secrets of making beautiful and delicious sushi. How to measure the rice quantity in one’s hands, how to shape the sushi piece and how much wasabi must be added – every instruction was carefully taken into consideration. In the end it was about having fun and enjoying a great time with everyone. The Bacchus team was wonderful and we were happy to host this event at Saruya Hostel&Salon. We look forward to future projects through which the Fujiyoshida community and our guests can come together, experience the Japanese culture and share good memories. Please follow our journey as we prepare for the next adventure!